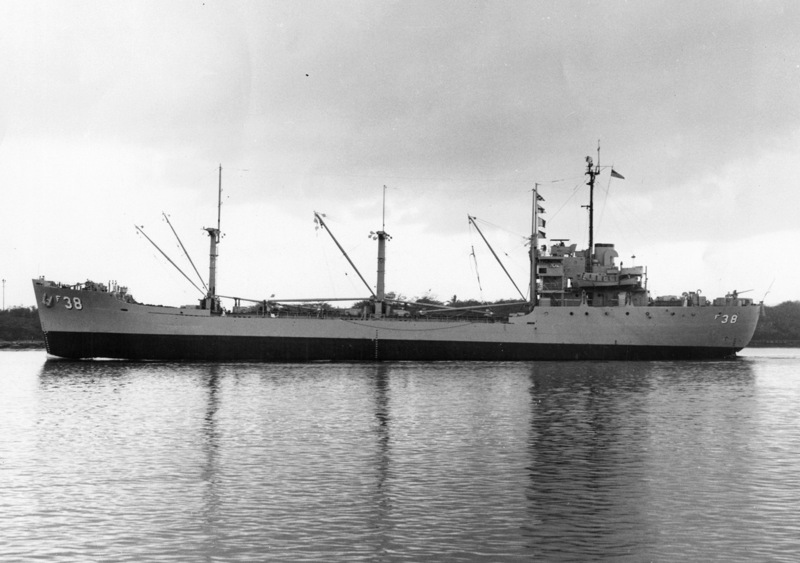 Photographed near Galveston, Texas, probably in February 1945 upon completion of conversion. 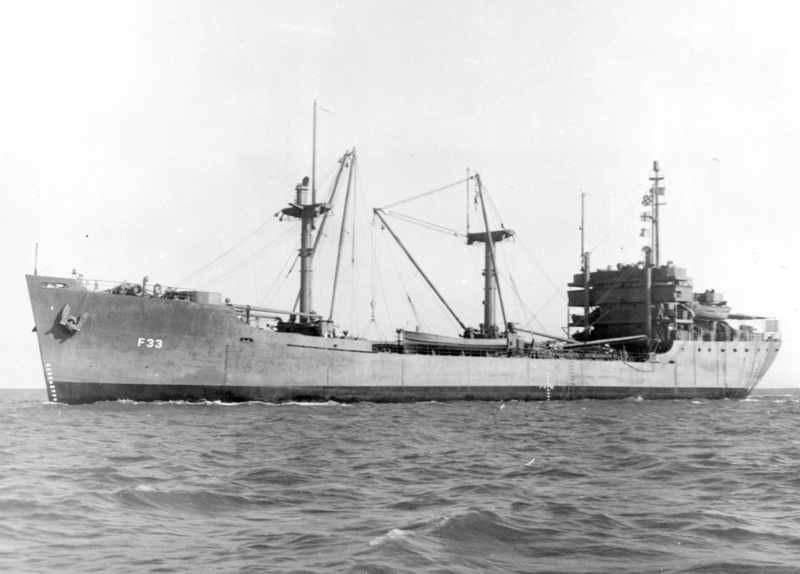 Photographed near Galveston, Texas, probably in February or March 1945 upon completion of conversion. 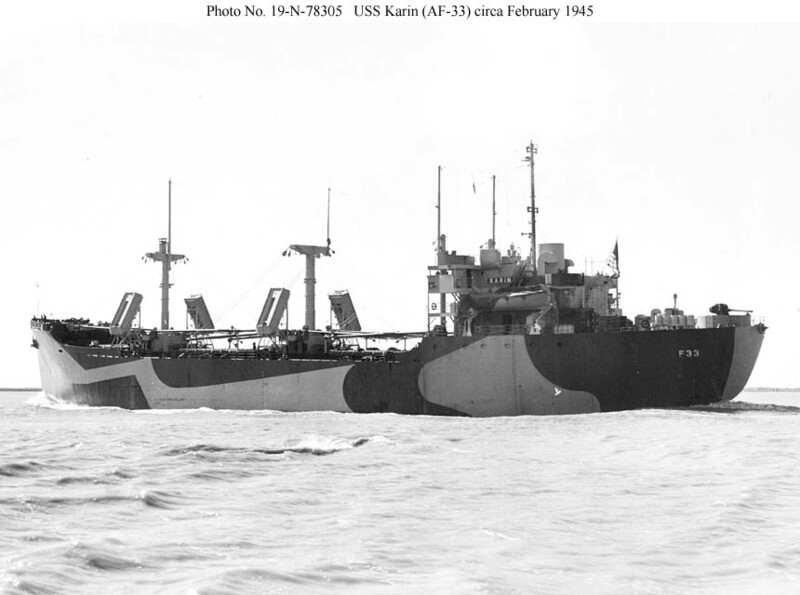 Photographed near or soon after the end of World War II, possibly at San Francisco, with the original armament for the class of one 3"/50 slow-fire gun aft and six 20mm single mounts, including two on the upper bridge wings. The single 20mm guns were later replaced in most of these ships by four twin mounts, freeing up the bridge wings. 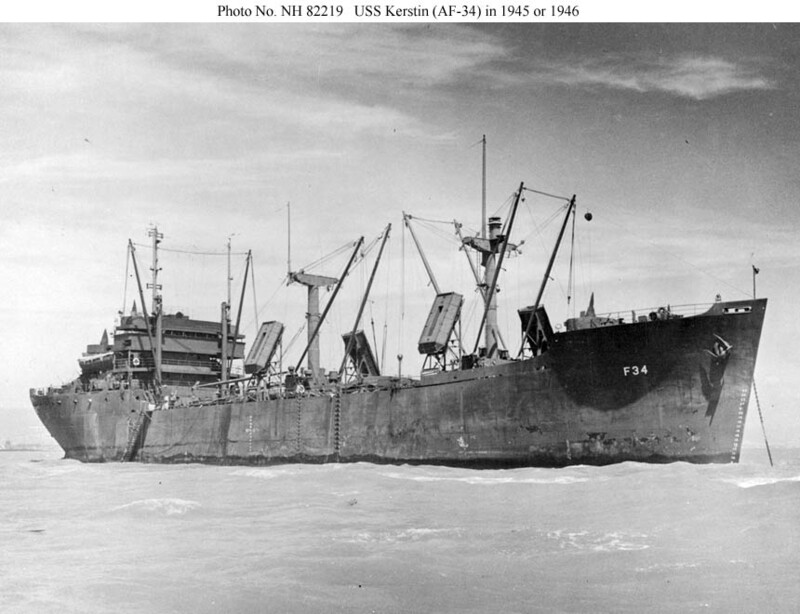 Photographed soon after the end of World War II, possibly at San Francisco. 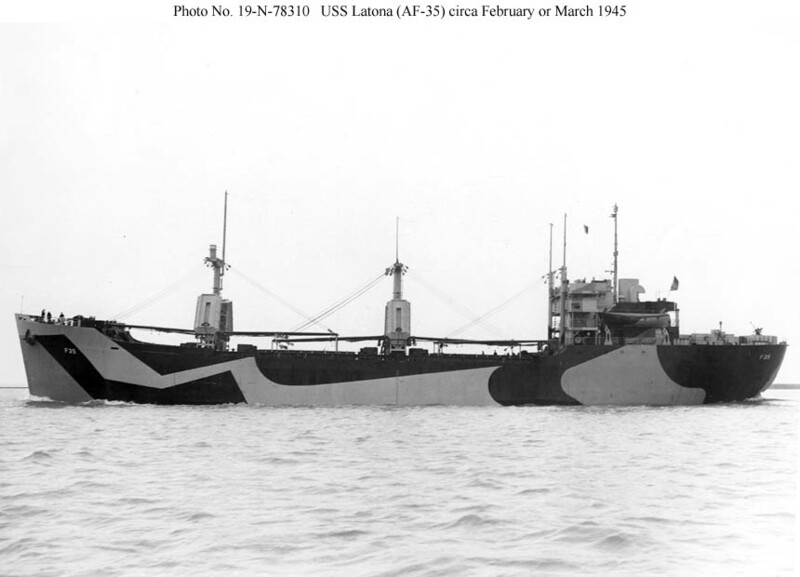 A probable 3"/50 gun is visible on the stern, as is a probable 20mm twin mount on the superstructure. 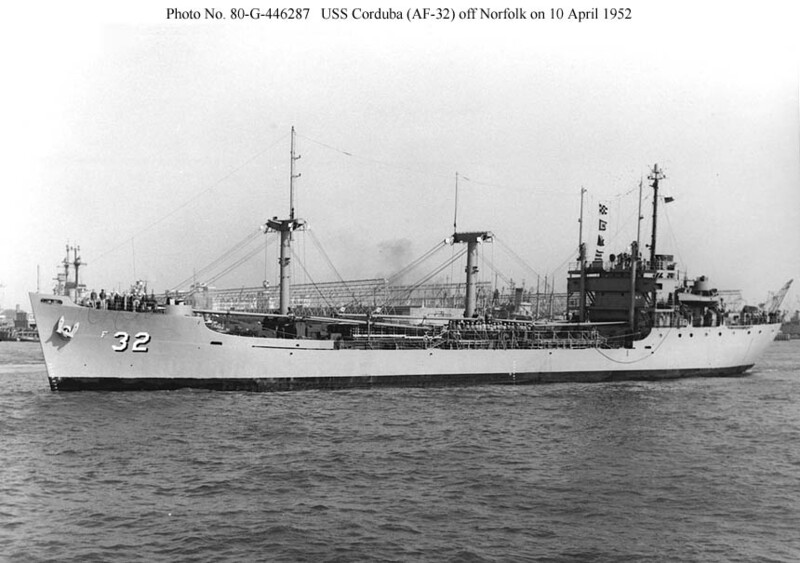 Off the naval base at Norfolk, Virginia, on 10 April 1952. 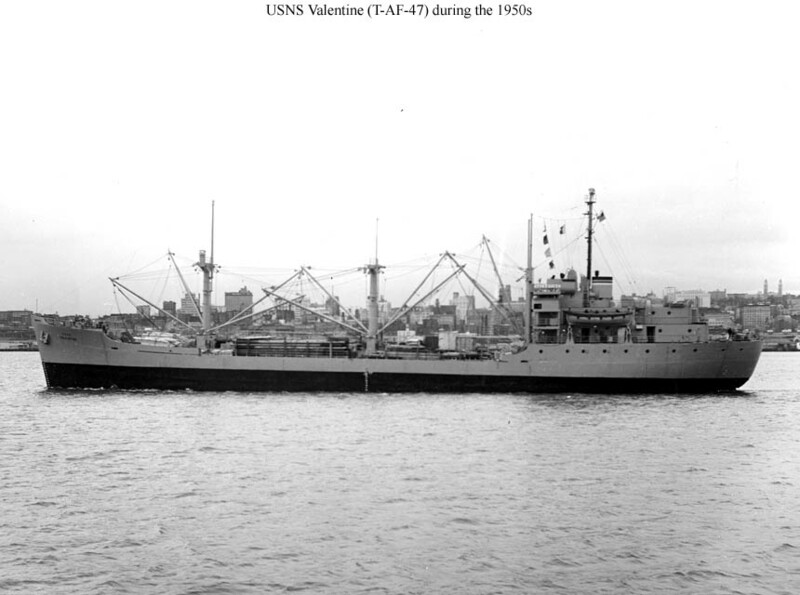 Shown in a photograph possibly taken in early 1958 near the end of her active naval career. The gun visible aft is a 3"/50 slow fire weapon. In MSTS service during the 1950s.